Hello to all the Story Empire readers! It’s my turn at the Friday Book Share and I’ve been holding onto a couple of books for over a month so I’m excited to post about them today. Both of the books I’ve chosen are the first two in a series which caught me eye around Christmas. I read the sample of the first one which hooked me from the first page. I read the book in about a day, then moved to the next one soon after and read it just as fast. Both are tightly-written detective novels with a twist. “For three years, Detective Jude Fontaine was kept from the outside world. Held in an underground cell, her only contact was with her sadistic captor, and reading his face was her entire existence. Learning his every line, every movement, and every flicker of thought is what kept her alive. After her experience with isolation and torture, she is left with a fierce desire for justice—and a heightened ability to interpret the body language of both the living and the dead. Despite colleagues’ doubts about her mental state, she resumes her role at Homicide. 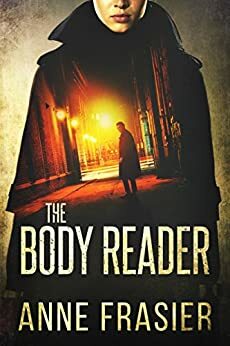 Her new partner, Detective Uriah Ashby, doesn’t trust her sanity, and he has a story of his own he’d rather keep hidden. But a killer is on the loose, murdering young women, so the detectives have no choice: they must work together to catch the madman before he strikes again. And no one knows madmen like Jude Fontaine.” Find it on Amazon. 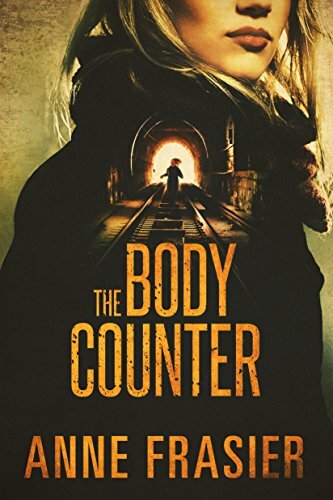 “Months after discovering the mastermind behind her own kidnapping, Detective Jude Fontaine is dealing with the past the only way she knows how: by returning to every dark corner of it. But it’s a new, escalating series of mass slayings that has become her latest obsession at Homicide. But when the latest victim is found in Jude’s apartment, the puzzle comes with a personal twist that’s going to test the breaking point of her already-fragile state of mind. For all she knows, her number may be up.” Find it on Amazon. Bonus share! The next edition is out in June and I’m very interested. I do like the occasional mystery but these grabbed me and held my attention. Jude is a highly compelling character and Frasier has done an excellent job with each book so far. “A boy’s frozen body is found trapped in the ice of a Minneapolis lake. 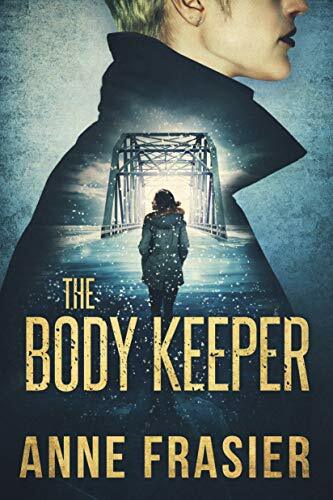 The horrifying discovery leads Detective Jude Fontaine and her partner, Uriah Ashby, to more bodies in the ice, all of twelve-year-old boys missing for twenty years. Then, in one of the worst blizzards the city has ever seen, a four-year-old is abandoned on Jude’s doorstep. The child can’t tell them where he’s from, who his parents are, or how he got there. He doesn’t even know his name. But in his unspoken language, Jude reads something horrifying—a connection to the dead boys. Now a four-year-old with no name may be the only key to a twenty-year-old, very cold case.” Pre-order on Amazon. Interested? Your kind of read? Share your comments in the comments and I’ll get back to you as soon as I can. Thanks for taking part in the Friday Book Share. Search Story Empire for previous posts for our other picks. Additionally, since this is book share day, two of our authors recently published new books that you may not have noticed: Voyage of the Lanternfish by C. S. Boyack and End of Day by Mae Clair. These are excellent reads so have a look at them and share the word! These sound like my kind of books. Thanks for sharing them. And how nice of you to give a shout out for Craig and Mae. 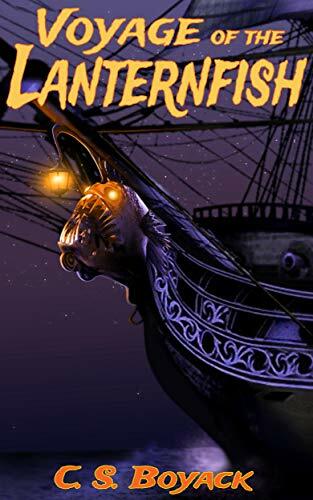 I’ve read End of Day and currently reading Lanternfish. Book are great reads! Enjoyed Lanternfish and currently enjoying EoD. Yes, you probably would like the Frasier books. Thanks for sharing these, P.H.! I’ve read Lanternfish and End of Day is on my Kindle. These book covers are stunning! All of them! These are right in my wheelhouse. I’m going to check them out. Also, I enjoyed both Craig and Mae’s books. All of the mentioned books are good. The Jude Fontaine books sound like my kind of stories. I’m going to have to check them out. And nice hat tip to Mae and Craig. I have read both of those and thoroughly enjoyed each of them. You probably will if you like police procedural/mystery. These don’t big down in too many details and get observations are well mixed in. Difficult crime scenes are in it but I think the author struck a good balance with descriptions without getting to explicit. I’ve been eying these books up for a while. Sounds like I need to stop thinking about them and take the plunge. Good choices, P.H., and many thanks to the nod for End of Day! You’re welcome for the nod. I’m going to reread those to learn a few things. Thanks for the nod. 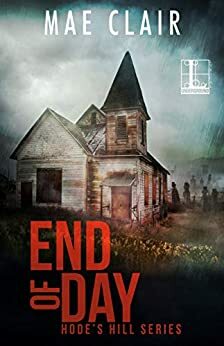 I’m currently reading End of Day and enjoying it beyond reason. I’m reading that too and having a good time with it. You are welcome regarding the nod. Lanternfish was a lot of fun – well done! Check out this post by P.H. Solomon via The Story Empire blog that provides a Friday Book Share – Detecting Two Compelling Reads by Anne Frasier. There were very good books. Lanternfish was excellent. I’m still reading End of Day at the moment but enjoying it a well. Sounds like a lovely book to read! 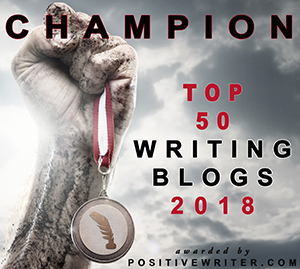 Thank you so much for the blog post, very well described! Both of the Jude Fontaine books were gripping. I ignored writing an sleeping for a few days. Great review and that does sound like an intriguing read! Yes, it was. Thanks for stopping by today.